Habaki : Gold fouled single habaki. Blade length : 53.2 cm or 20.94 inches. Sori : 0.6 cm or 0.24 inches. Width at the hamachi : 2.76 cm or 1.08 inches. Width at the Kissaki : 1.66 cm or 0.65 inches. Kasane : 0.71 cm or 0.27 inches. Era : Muromachi period Kansyo era. 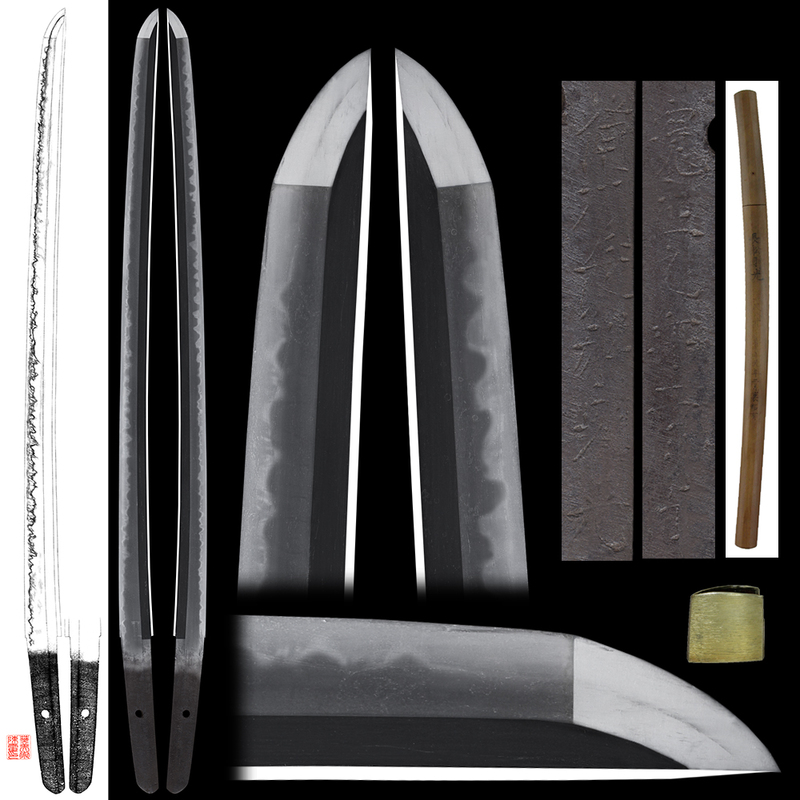 Shape : The blade is regular size longer wakizashi and small sori. Jitetsu : Koitame had and mokume had mixed with jinie attach and light utsuri appear. Hamon : Konie deck Cyoji midair with ash, yo work. Boshi is round shape. Special feature : The founder of Norimitsu startedfrom late Kamakura period to late Muromachi period. 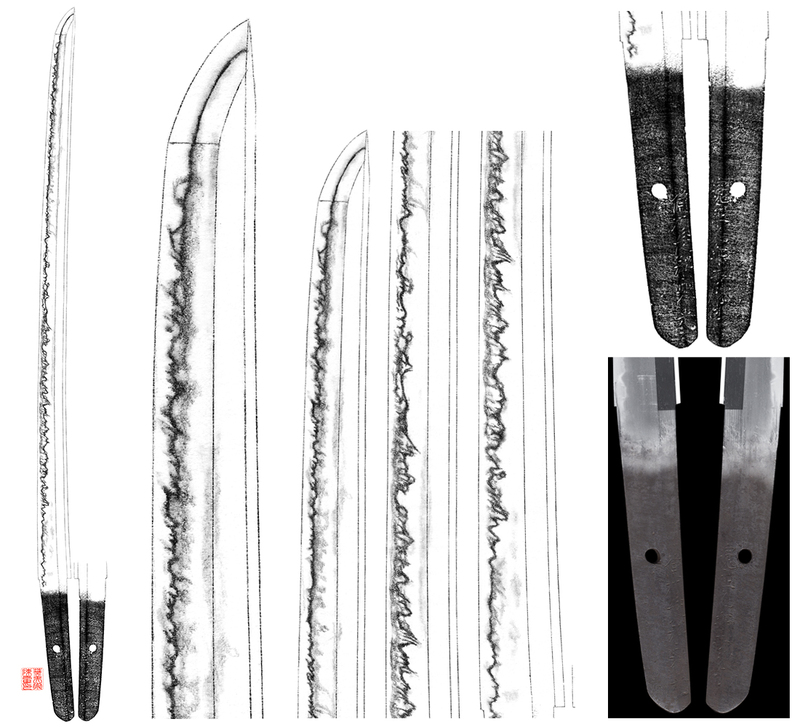 He is well known sword maker during Kansyo to Bunmei era which is called Kansyo Norimitsu. This sword is typical Norimitsu hamon. On the Kissaki along with Hamon, ther is small ware but not serious. I think the blade has passed about 544 years. So the blade is slightly tired but not so bad.